It’s day 3 in China where I’m undertaking research into bear poaching. The first stage of the trip was flying from Auckland to Beijing via Hong Kong. My Chinese colleagues meet me at Beijing airport. Generously they offer to take me to dinner. I decline gracefully. I’ve been travelling for hours, it’s late, and mostly I just want to sleep. This time I make sure the Hotel doesn’t forget to return my credit card. Nothing ruins a good night sleep like a missing credit card. We begin the next day with a meeting of the involved parties. Someone cleverly decides to do the meeting in a traditional Chinese tea house. That mostly works. The tea is excellent. Looking for a caffeine hit, I ask for a coffee as well. Not a smart move in the end. Instant coffee + creamer sits in the stomach like a dull ache. The meeting reminds me I’ve got a leg in both camps. While officially I’m part of International Union for Conservation of Nature and an outside organisation this time, I’m greeted like an old friend. The lines are blurred. We discuss the approach for the next 2 weeks in China. This time round it is about trying to analyse the effects of bear farming on bear poaching. The hotel has slow wifi. Not that it really matters. My electronic life goes very quiet in China. There’s no facebook, no twitter, no instagram, no gmail. All are blocked here. By day 3 we’ve moved on to Mudanjiang in the far north. It’s -20C and the ground is covered in snow. On the other hand, the sky is blue. The sky is not blue in Beijing. Going outside in Beijing in winter is problematic. Pollution hangs over the city in a thick blanket. Here, the sky is amazing. We’re deep in forestry and agricultural territory. No heavy industry to spew emissions into the air. We do though get to see Chinese military aircraft cutting a roar through the sky. We’re within striking distance of the Russian border. 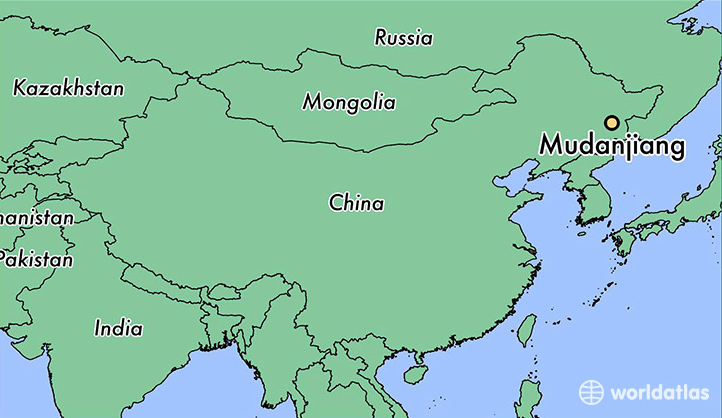 Mudanjiang also has a big Chinese airforce base. The river we cross is already mostly frozen. Local Chinese are skating on its surface. The hotel oddly, is called the Hawaii. Perhaps it’s a local joke. We’re not in the tropics now. We do lunch here first. That means interacting with senior Chinese official relevant to the study in one room. It also means drinking. This is the far north of China. Drinking is part of the rules. I make a rookie mistake though, and accept the wine. It’s actually baiju, a spirit wine with a 40%+ alcohol hit. Not the kind of thing to settle the stomach. I should have stuck with the beer. Banquets also really aren’t a time for relaxing. It’s about nurturing the network (guangxi) of people you can work with. I haven’t had to do a banquet for a while though. Austerity measures a few years back have an impact. Everything to working on conservation in China depends on your network. It’s how you get things done. It’s not until the afternoon that the data gathering begins. This is the time when it doesn’t matter how tired, jet-lagged or inebriated you got. This is when you start getting information. This is the kind of thing they never taught you at graduate school.